Home > Articles and tips > Why do I need a VIP profile? Why do I need a VIP profile? Given that it is free to have a normal profile on Onlinecasting, and I can still use most of the features on Onlinecasting - why should I then upgrade to a VIP profile? The majority of the casting posts on Onlinecasting are generally closed for the public in the sense that one need to have an active VIP profile to apply for the casting. Most users therefore only choose to upgrade in the moment they find the casting they have to apply for. But, this can prove to be a poor strategy. The statistics from our many years of being in this industry shows that there is a 7 time higher chance of being contacted directly by a casting agent, if you have an active VIP profile, compared to having a normal profile. And most importantly, that VIP profiles sends a message that they are engaged, motivated and serious about being in the industry. We do have a lot of jobs on Onlinecasting, but the best (and most well paid) jobs are often gotten through being contacted directly by a casting agent, through the site. These casting agents know exactly what they are looking for - a specific type for a specific project. In these cases, they almost always end up choosing a VIP profile. 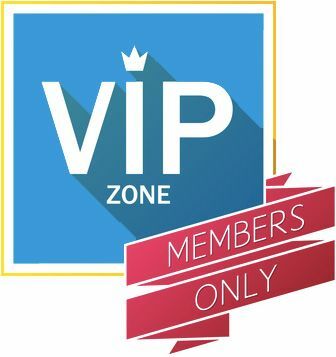 You can terminate your VIP membership anytime, directly from the Onlinecasting site. We offer you the first week for free, to try it out.